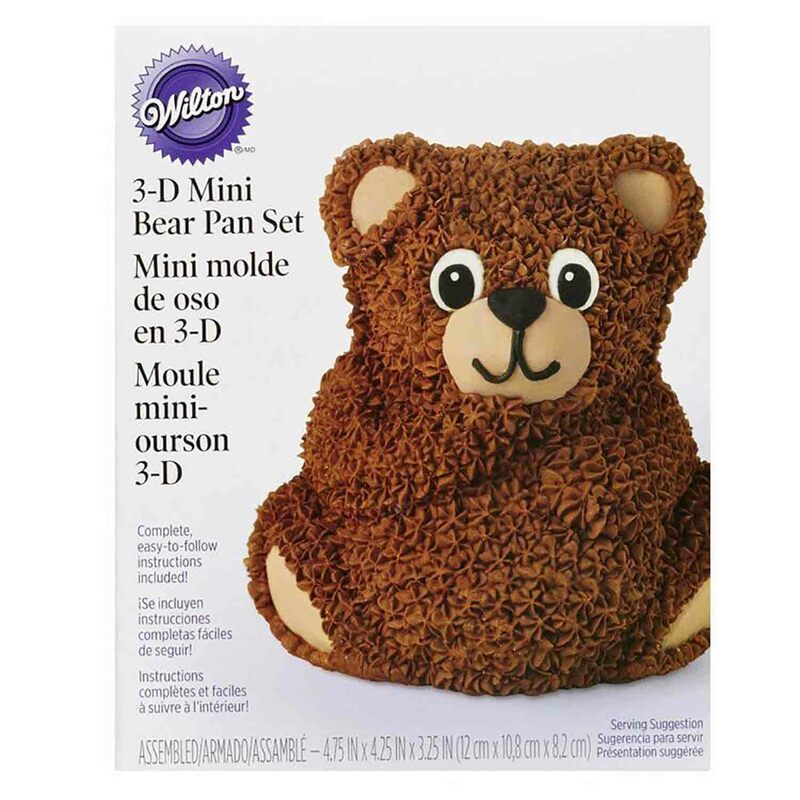 Brand: Wilton 2105-489 Units: 1 3D pan set / pkg. Dimensions: 5" wide x 5" long x 1½" deep Contains two halves, four clip fasteners to hold the pan together and a baking plate to hold pan upright while baking. Instructions are included as well as ideas for five different bears. Finished 3-D cake measures 4¼" x 4½" x 3¼". Aluminum. Contains two halves, four clip fasteners to hold the pan together and a baking plate to hold pan upright while baking. Instructions are included as well as ideas for five different bears. Finished 3-D cake measures 4¼" x 4½" x 3¼". Aluminum.